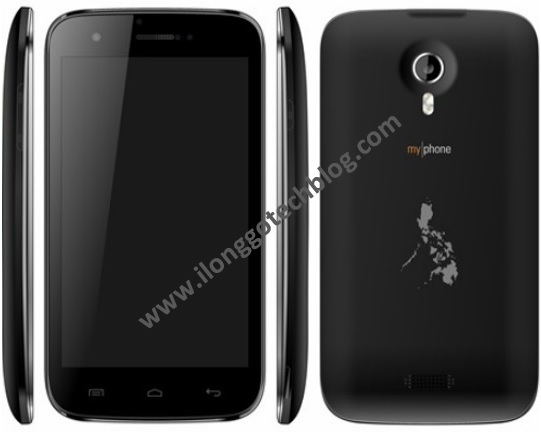 MyPhone has finally unveiled the MyPhone A919 3D, the first ever 3D smartphone from a local brand here in the Philippines. 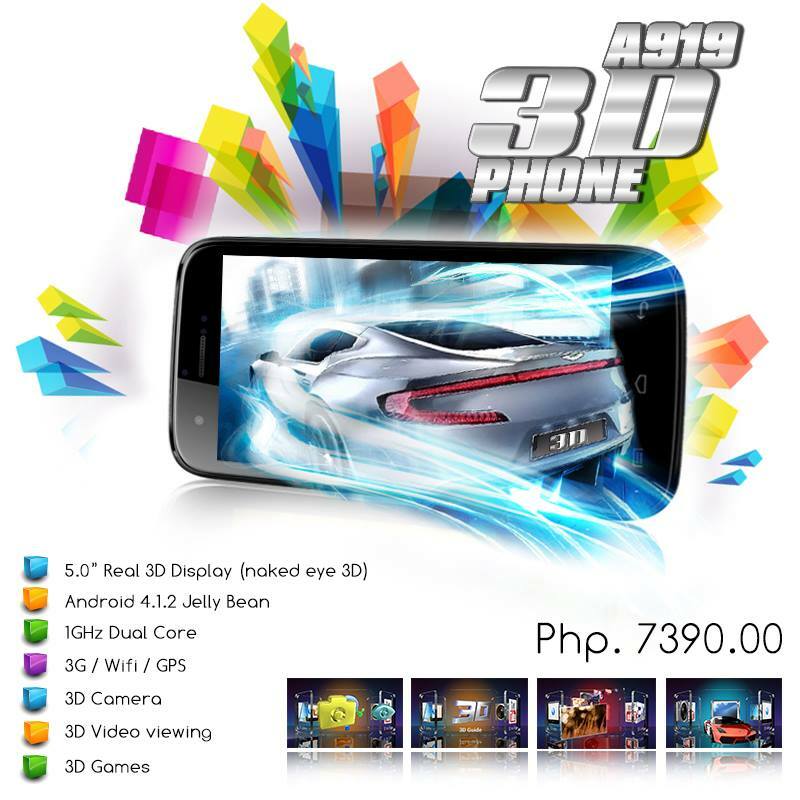 For only Php7,390 (SRP), this dual-SIM smartphone features a 5-inch Real 3D display (naked eye 3D), a 1GHz dual-core MediaTek processor, a 5MP 3D camera with dual LED flash, a VGA front camera and is powered by the latest Android 4.1 Jelly Bean OS. Experience Real 3D on your Phone without using any 3D Glasses with MyPhone A919 3D Duo! More details after the jump. The MyPhone A919 3D Duo takes after its predecessor’s display size and only this time, it’s a 5-inch Naked Eye 3D (WVGA) Display. Thus, a real 3D experience minus the 3D glasses. Its 5MP 3D Camera can let you spruce up your posts on Facebook, Twitter or Instagram with 3D images. And with just a few taps and swipes, you can share your very own 3D photos either via Wi-Fi or 3G. You may still take 2D photos via the back camera or the VGA Front Camera. Mobile entertainment with A919 3D Duo which operates on Android 4.1.2 Jelly Bean is also set to be spectacular minus the spectacles. Enjoy on the go 3D entertainment with 3D games and 3D movies, and worry not over lagging as A919 3D Duo is powered by a 1GHz Dual-Core Processor. Availability / Release Date: Now available nationwide! lol 512mb for 3D come on..
3D virtual world kids is a place where your kids just love to be.thanks for sharing the post here with us.keep it up. question lang po. gusto ko lang po kasi malaman who was the manufacturer ng 3D phone na ito. maganda kasi pag kakagawa and interested ako. many thanks!